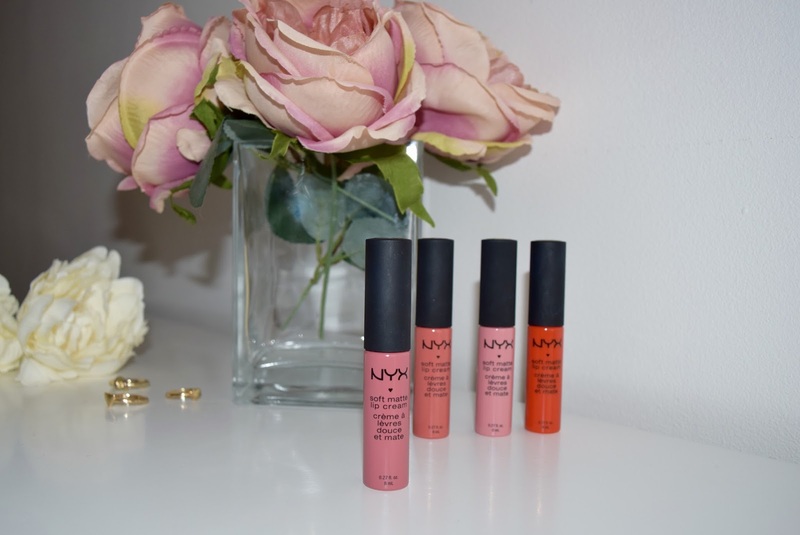 I was so excited to see lots of new goodies from NYX Cosmetics on ASOS a few weeks ago. 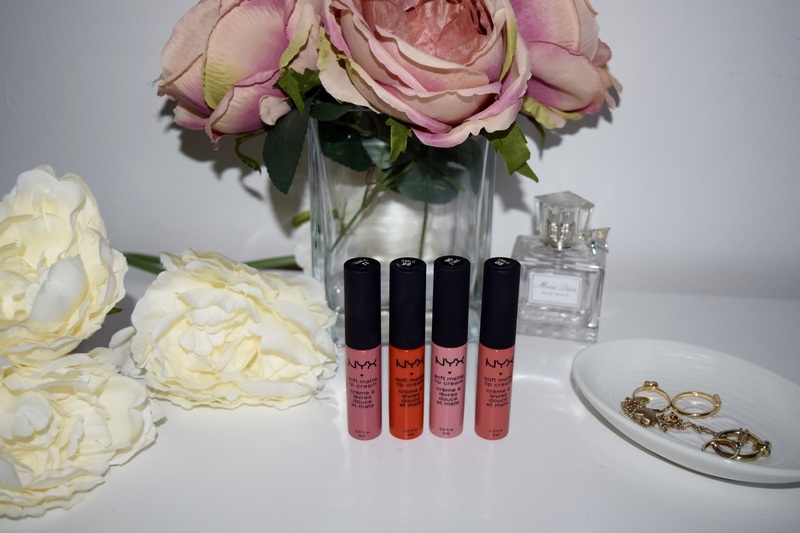 I'd only tried one of their products before which was a lip pencil and I was really impressed with that so I couldn't wait to put in an order! 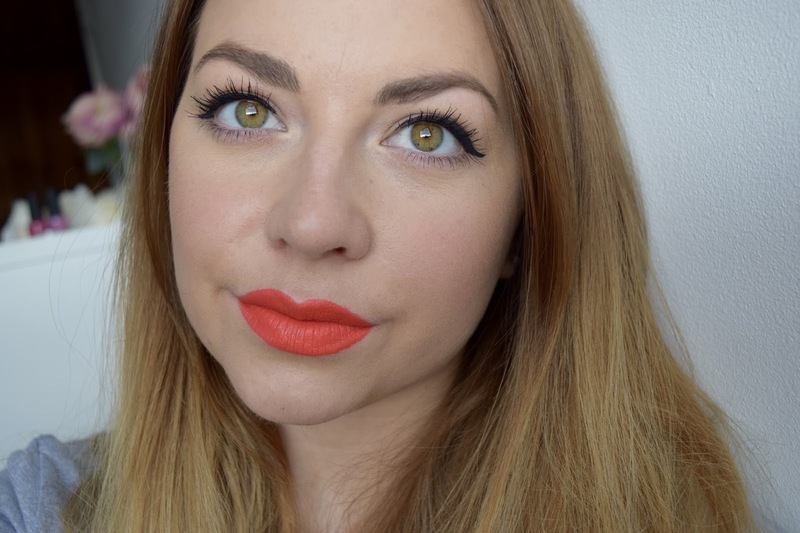 I decided to go for the 'Soft Matte Lip Creams' as the choice of colours was endless. These cost just £5.50 from ASOS which I think is a great price but they are just slightly smaller than most normal lip glosses and liquid lipsticks. Now, as you will see from the pictures I didn't really go for a wide range of shades. This is because I wanted to buy colours that I knew would suit me and that I would wear. Plus, these are all very Spring/Summer shades which is handy because those are the seasons we are (apparently!) heading towards! All the shades I purchased have the same consistency, longevity and scent. They are very lightweight, velvety smooth and have a 'donut' like smell! If you have tried these out, I am sure you know what I mean! Now, as these have a creamy formula they do not dry completely matte. They do transfer, at least for the first hour of wearing them anyway but for someone like me who has quite dry lips this makes this product perfect for me. They are very easy to apply and because they don't dry instantly if you do happen to make a mistake or suddenly regret going for the 'Kylie' overdrawn look then you can remove any accidents easily. 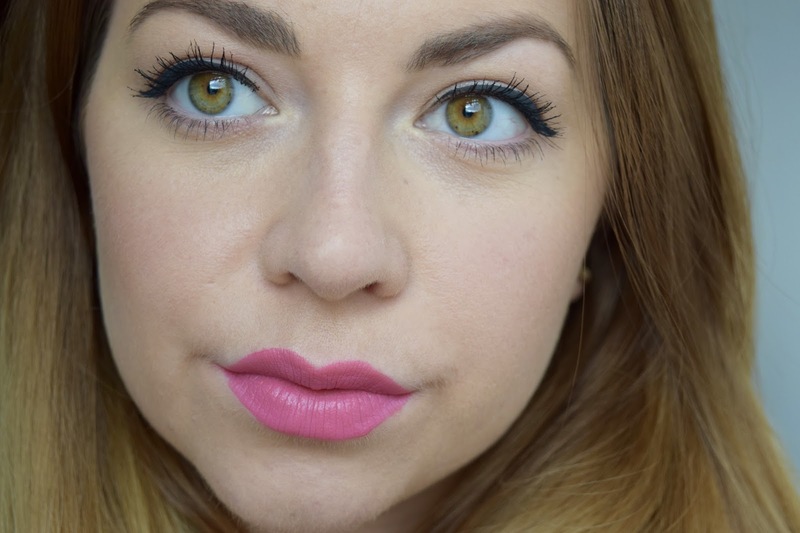 Unlike a matte liquid lipstick these creams are very lightweight and you can hardly notice it on your lips. It definitely doesn't dry your lips out. However, the downside is that they don't stay on for very long. 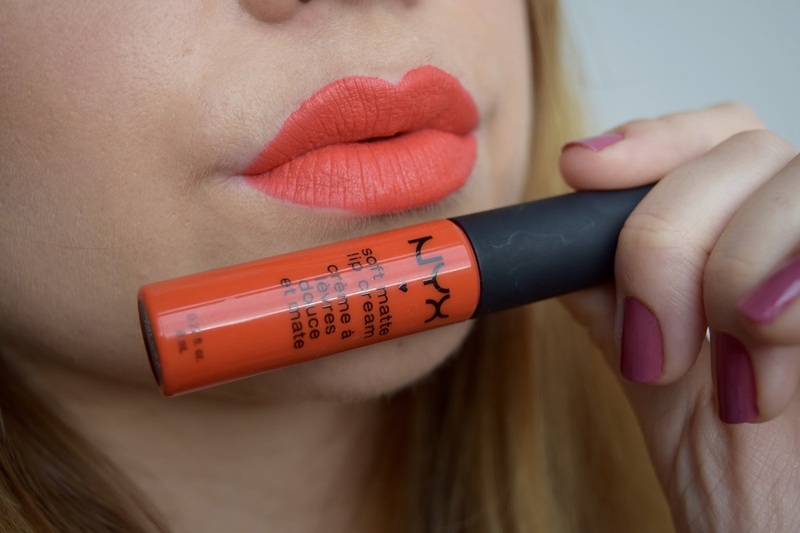 "...a bright, orangey/red. 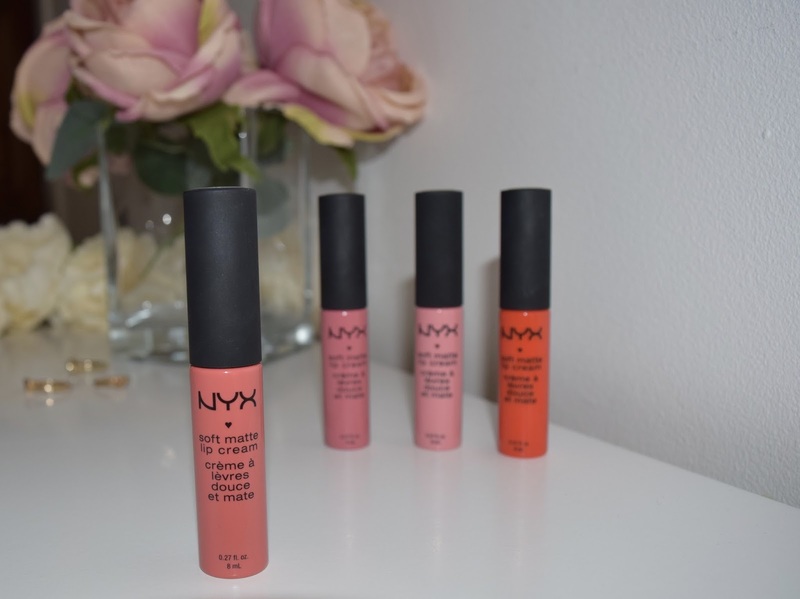 Perfect for these upcoming seasons..."
"...a very sweet light pink..."
"...a coral/pink which is more bold than the other 2 pink shades..."
"...similar to Istanbul but slightly deeper with a tiny hint of cool toned purple..."
Overall I would give these NYX Soft Matte Creams an 8/10. I will definitely be purchasing some more and maybe I will try to step out of my comfort zone and buy a shade I haven't tried before! Let me know if you have tried any of these, i'd love to hear what you think.